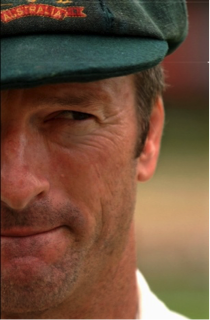 It’s pretty hard to describe a gentleman that goes by the name of Steve Waugh. Some hold him as the greatest Australian captain to have ever graced the cricket field, others hold him high in the top echelons of outstanding Cricketers. While some call him the greatest Australian cricketer since a certain Donald Bradman, there are many who call him the most accomplished all round cricketer for Australia in the annals of both limited over and test cricket. And, to a great degree, Waugh’s legendary career maintains the just notion since from 168 tests, he scored a mammoth 10,927 runs with an amazing batting average of 51 and a top score of exactly 200. One must not hail his 32 test tons any lightly. The flurry of enigmatic cricket records don’t end here. There is also the one day arena, where the legend from New South Wales scored a fabulous 7500 runs from 288 innings and struck 45 fifties. In a stellar career that began in 1985 in Australia and ended on a sad note for all international lovers and fans of the great man who found Waugh’s exit in 2004 a bit like a tough pill to swallow, Waugh captured not just the popular imagination with his cricketing exploits, but left a great example for fellow cricketers, not just from Australia but elsewhere to follow. Steve Waugh’s apparatus of operating in a game would always involve feature him as a complete team-man. He was the icy-cool bloke who would forever inspire the team both as a batsman by donning the bat in hand and going on to play an epic knock when his team needed him the most and, would be seen marshalling his troops to attack the opposition. It wouldn’t be an easy facet to contest against the dynamic, attacking and incisive leadership of the right handed batsman and accomplished captain. In helping Australia win two world cups in the highly illustrious Australian campaigns of 1999 (England)and 2003(South Africa), Steve Waugh became an irreplaceable part of a star-studded line up in Australia’s playing eleven that featured what every true follower of the game hails as the best Aussie playing 11. While there were Mark Waugh and Adam Gilchrist opening perhaps the best batting line up in the late 90’s and middle of 2000s of team Australia, the name of Ricky Ponting in at number 3 would set bowlers into a peril run of nightmares. 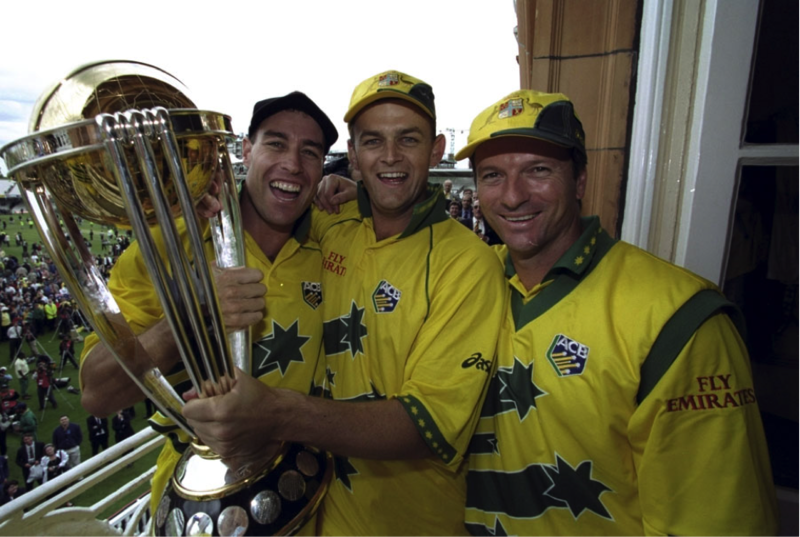 What would follow after the celebrated no.3 would be Waugh himself, Thomas Moody, Darren Lehman and Michael Bevan, some of the finest Australian players to have ever represented such an outstanding name in world cricket. And, it wouldn’t end there. Shane Warne, the kind of twirl and Glenn McGrath would constitute a highly potent and dangerous line up. 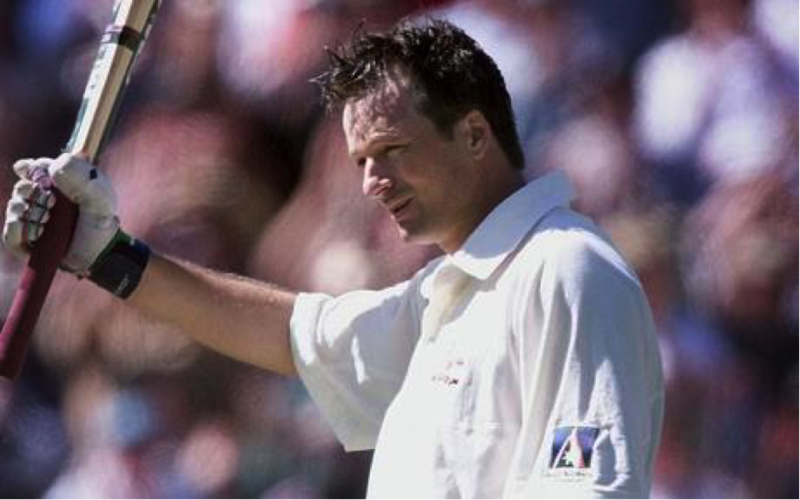 In the highly successful round up, Steve Waugh was the central pivot around which the dynamic and glamorous template of Australia’s fire-brand of cricket would revolve with Steve even taking the bowl in his hands when he was needed and would go on to make a name for himself as a partnership breaking slow right arm pacer for team Australia. While his one day exploits enabled Australia to sit pretty at the top of the throne of world cricket, crowning themselves as World Champion during the great man’s reign on 2 separate occasions, it has to be taken into account that in Test cricket, Steve Waugh’s legend spiralled into another emphatic layer of success. As the Australian test captain, donning the glorious baggy green, he lead the side to 15 consecutive test victories, a record so spectacular that it hasn’t been matched till date. 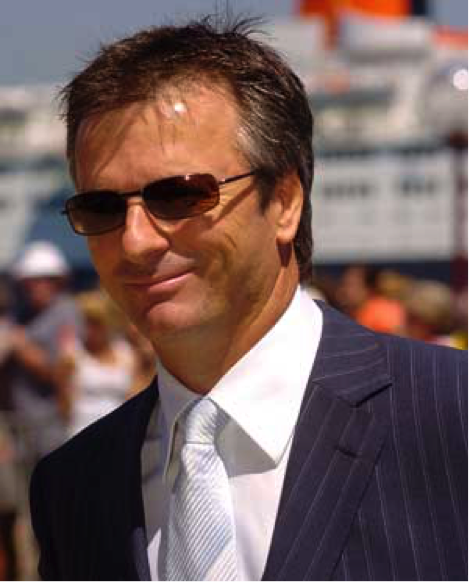 A grand icon of international cricket and the undisputed king of cool of Australian cricket, Steve Waugh won games for Australia, as captain and on many occasions as a lone battler. He changed fortunes of a growing and upbeat competitive team, enabling them to ride the high tides of jubilant victories and in doing so, earned not just respect from team-mates but from fellow competitors who played alongside the legendary Waugh. It has to be said, Steve Waugh was an umpire’s favourite, the fan’s hero and even a popular subject who would draw praise for mesmeric accomplishments from the harshest of critics. In doing all of this, Steve sculpted an iconic image. The laconic Australian who was anything but outspoken like today’s captains, became the media’s darling for creating a suave image, one with a dash of understated swagger, adding richly to the trendy lineage of Australian cricketers. The alluring walk, the calm mannerisms, the cool headed composure and the chewing gum chewing look, all became an inseparable companion of Australia’s captain cool. It is quite amazing to note that even when Waugh would be in the middle of a testing battle out there, one that he was no stranger to, it didn’t seem that pressure ever got to him and, his cool as a cucumber method of battling fire-to-fire ensured that Waugh remained at the top of his game even in the style cauldron. 1) “Money does not motivate me as long as I can provide for my children”: Waugh clearly implies that more than money, your focus should be to attend the end goal or objective of life. An out and out family man, he emphasizes that one should attempt to earn not just for oneself but for the collective interest of the family. 2) “If I am supposed to select a team, Sachin will be in it and Dhoni will be the captain”: Most players always emphasize the brilliance of their own team mates and reserve the right to complement only their own current crop of players or those who played before for their team. Waugh was different. If he adored Sachin, he respected Dhoni and even regarded Dravid very highly. He teaches us we should be impartial and fair in respecting and regarding the good in everyone, even if an individual is an opponent. A truly great quality. 3) “It doesn’t matter how pretty you look, it’s how many runs you get”: Focus on the task at hand and not at hysterics, is what the great Waugh believes. And, must we share its quite right as well. At an age where we all live for 15 minutes of fame and wish to hog limelight prevailing in the times of instant gratification, our focus more or less remains restricted to strutting our stuff, or, very politely, in showing it off. We tend to lose focus on the task at hand and wallow away from substance, by clinging on to the material aspect that governs the focus. Waugh emphasizes that one must solely dedicate efforts towards the attainment of the objective and not get consumed by directing energies to unwanted facets or shenanigans. 4) “You have got to have dreams to keep going”: very simply, Steve Waugh puts the onus on dreams to motivate an individual in achieving greatness in life. At times, we all focus solely on our current task at hand and even at the end goal, forgetting the most pivotal part that governs all our effort: the dream and passion that made us make the first move in the right direction. Waugh adds, that one must simply not stop dreaming and must rely on the beauty and sanctity of one’s dreams to continue in the life’s journey. Spiritual and meaningful in equal measure, we must say. 5) “I just played cricket as I Loved the sport, never really had any formal training or coaching”: If you have determination, self-belief and courage, then you may well go on to achieve anything in your life. Then, it doesn’t matter that you received any formal coaching, training or bookish knowledge in life. Waugh, who himself never attained any professional cricket coaching and had always harboured a dream to play Tennis, self cultivated the drive to succeed in Cricket. His life, achievements and dogged determination are testimony to the fact that if one has the will within, then the world is at your feet and nothing is impossible. With these valuable lessons of life, that Waugh didn’t just speak out of an urge to be verbose but stood true to, by constructing a magnificent career, that earned him as much rewards as respect, he has shown the door to lead a life of great meaning, courage, dedication and importantly, some purpose.